Banking on the skills of our qualified team of professionals, we are involved in providing AC Servo Motor Repairing services to our clients. We have an exceptional experience in motor servicing with on time delivery and 100 % customer satisfaction in quality. Besides, this service is widely approved by our client’s for timely completion undertaken service, reliability and flexibility. All types of servo motor repairs, rewinding, encoder repairs, shaft replacements, magnet change, brake setting etc is undertaken and with expertise care will be rectified . 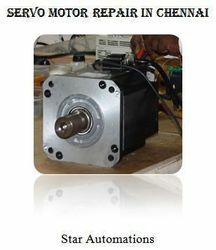 Our company is highly rated in providing AC Servo Motor Repairing Service. 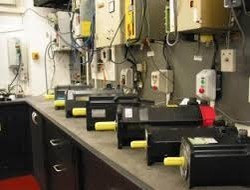 Repairing & servicing of all Industrial Servo Motors, Servo drives including all Industrial Electronic Equipments. Also repairs machineries which are used for the erection of Transmission Tower Plants, Electronics and CNC Machines, Instruments, any type of PCBs/Cards, HMI, PLC based Instruments. We provide repair services for AC Servo motors. All brands & types of ac servo motor we will repair.